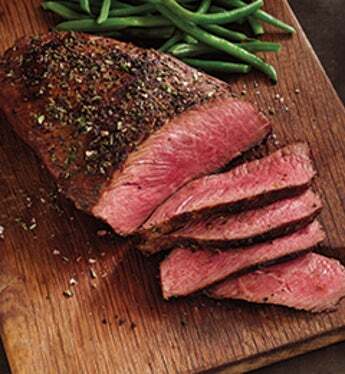 USDA Choice London Broil from Stock Yards® is a lean cut is carved from Stock Yards' delicious, aged USDA Choice Filet Mignon. For over 100 years, Stock Yards has been providing the very best USDA Prime and Choice steaks, pork, lamb and veal to America's finest restaurants. USDA Prime is the top two percent of all beef produced in the U.S. qualifies for the USDA Prime grade. This distinctively superior beef contains the greatest degree of marbling, creating a tender and juicy steak with a buttery flavor.